People are now rapidly adopting newer and advanced ways of communications, and the major part of many people’s communication is related to business dealings. Today you can be a resident of the United States but can establish your business in China easily due to the advancement in technology. For the ease of their costumers banks now also provide them with the facility of mobile banking. For this one does not need internet connection too, it can be run by just mobile connection. But online banking and apps require an internet connection in your smart phone. 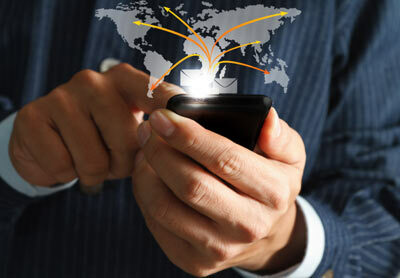 Now the question is which smart phone is best for financial and banking transactions? Many people prefer Blackberry over any other phone when it comes to business work. The reasons behind this are its capacity to save large amount of data, its security policies, comfort to save as many contacts as you want plus you can send and receive messages from other android or iPhone users easily. And the biggest reason of all is its email system that makes the communication process more resourceful. According to many blackberry users it is their virtual business desk which they can carry everywhere with them. For iPhone fans most of the banks are now building and providing their customers with specialized banking apps. Navigating through applications is such an easy thing to do on the iPhone which allows to literally to multiple things at the same time. Whether it be checking your email or posting a picture on Instagram. And with specific mobile banking apps you can deal with your banking and financial transactions on the go. Many banks provide applications for Android too. And it is pretty much the same apps as for the iPhone. Not much difference is put into it. It depends only on your mobile’s operating system how well it runs that app. The major part player in mobile financial and banking transaction is not the smart phone, but is the bank itself. It depends on the bank that how good services they are providing to their customers, are their apps really dependable? Or they are just a link to their online banking website? It now not the merely the race between the smart phones but the service provider also should understand the needs of their customers and provide them with the best. The services should include great security, ease of access, making it as fully functional as online baking.